SkyWest, Inc. has reported its financial and operating results for Q2 2018, including net income of $76 million, or $1.43 per diluted share, compared to net income of $50 million, or $0.95 per diluted share for Q2 2017. Q2 2018 pre-tax income of $98 million increased 21% from Q2 2017 and was primarily due to SkyWest’s ongoing fleet transition. Since Q2 2017, SkyWest added 23 new E175 aircraft and removed 34 CRJ700/CRJ900 aircraft and 32 CRJ200/ERJ145 aircraft. SkyWest Airlines, Inc. reached an agreement with Delta Air Lines to operate 20 new Bombardier CRJ900 aircraft under a nine-year flying contract. The aircraft will be acquired by Delta under a previously announced agreement with Bombardier and operated by SkyWest Airlines. SkyWest Airlines anticipates placing the 20 CRJ900s into service beginning late 2018 through 2020. These aircraft will have the ATMOSPHÈRE cabin with a 70-seat, dual-class configuration and will replace 20 CRJ700s scheduled to expire under SkyWest’s flying contracts with Delta. SkyWest Airlines reached an agreement with American Airlines to place 20 used Bombardier CRJ700s under a four-year contract. The 20 CRJ700s are expected to be sourced from within SkyWest’s fleet. The first aircraft in this agreement was placed into service in June 2018 and all 20 aircraft are scheduled to be in service by early 2019. 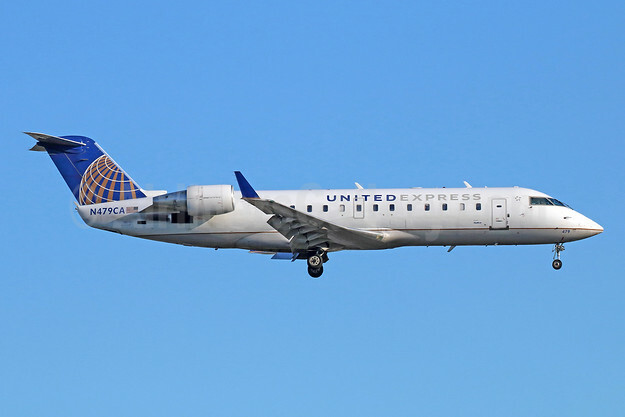 SkyWest Airlines reached an agreement with United Airlines to extend their existing flying contract on 19 Bombardier CRJ700s operated by SkyWest Airlines. These aircraft previously had contract expirations scheduled for mid-2019/2020 and were extended for three years. Separately, ExpressJet Airlines, Inc. reached an agreement with United to a three-year contract for 20 used CRJ200s. The 20 CRJ200s are expected to be sourced from within SkyWest’s fleet through contract expirations with other partners scheduled for the second half of 2018. The 20 CRJ200s are expected to be placed into service with United between the latter part of 2018 and early 2019. Above Copyright Photo: United Express-SkyWest Airlines Bombardier CRJ200 (CL-600-2B19) N479CA (msn 7675) LAX (Michael B. Ing). Image: 941704. Revenue was $806 million in Q2 2018, up from $792 million in Q2 2017. The increase in revenue included the net impact of adding 23 new E175 aircraft and other economic improvements within SkyWest’s fleet mix since Q2 2017, partially offset by the removal of unprofitable or less-profitable aircraft over the same period. Operating expenses were $679 million in Q2 2018, down from $685 million in Q2 2017. The decrease in operating expenses was primarily due to the reduction in direct operating costs with the net removal of 43 aircraft from service. The effective tax rate for Q2 2018 was 23% compared to 38% in Q2 2017. The lower tax rate in Q2 2018 was primarily due to the reduced federal rate under the new tax law enacted in Q4 2017. ExpressJet continued the previously-announced wind down of its flying agreement with Delta during the quarter. At the end of Q2 2018, ExpressJet had 22 CRJ700s remaining in service under the Delta agreement. ExpressJet continues to engage in discussions around the CRJ700s scheduled to come out of service with Delta later this year and remains positive with alternative opportunities to utilize these CRJ700 aircraft. 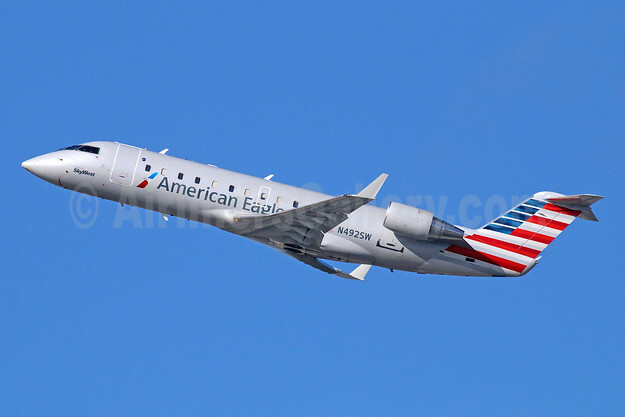 ExpressJet anticipates its flying contract with American for 12 CRJ700s scheduled to terminate in early 2019 will not be extended. These aircraft are expected to be returned to the lessors following removal of service with American. Total debt at June 30, 2018 was $3.0 billion, up $193 million from March 31, 2018, which included debt issued for 14 E175 aircraft acquired during the quarter, partially offset by scheduled principal payments. This entry was posted in ExpressJet Airlines, SkyWest Airlines and tagged Bombardier CRJ200 (CL-600-2B19), msn 7675, N479CA, SkyWest, SkyWest Airlines, United Express-SkyWest Airlines on July 27, 2018 by Bruce Drum. 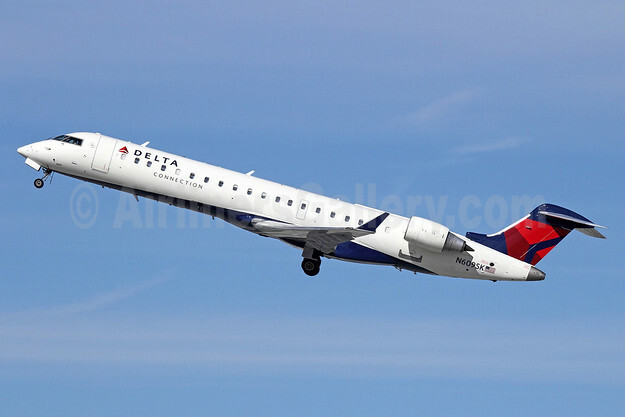 SkyWest Airlines (Delta Connection) will add the Cincinnati – Austin route for Delta Air Lines starting on May 1, 2018. The new route will be operated with Bombardier CRJ700 aircraft according to Airline Route. Copyright Photo: Delta Connection-SkyWest Airlines Bombardier CRJ700 (CL-600-2C10) N609SK (msn 10020) LAX (Michael B. Ing). Image: 911199. This entry was posted in Delta Air Lines, Delta Connection, SkyWest Airlines and tagged Bombardier CRJ700 (CL-600-2C10), Delta Air Lines, Delta Connection-SkyWest Airlines, msn 10020, N609SK, SkyWest on January 1, 2018 by Bruce Drum. 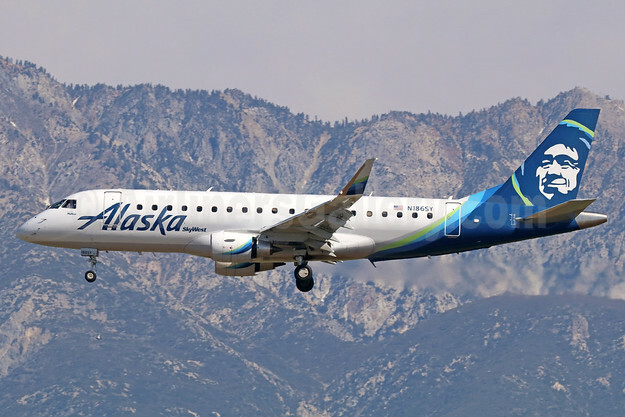 SkyWest, Inc. has reported that it has entered into aircraft purchase agreements and capacity purchase agreements to acquire and fly 15 additional new aircraft with Delta Air Lines and five additional new aircraft with Alaska Airlines. Expected delivery dates for the 20 aircraft run from September 2017 through the end of 2018. These aircraft will be operated by SkyWest Airlines, Inc. a wholly owned subsidiary of SkyWest. Of the 20 aircraft, 15 Embraer E175 SC aircraft will fly under an agreement with Delta in a 70-seat configuration. The E175 SC aircraft has an E175 airframe and can be retrofitted to 76 seats in the future. 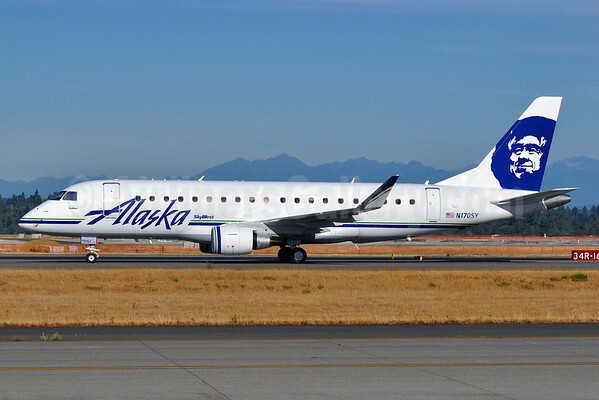 The agreement with Alaska includes five Embraer E175s, with a 76-seat configuration, similar to aircraft SkyWest has previously placed into service with Alaska. Combined with last month’s announcement for 25 new aircraft, this announcement results in a cumulative order of 45 new aircraft. Similar structurally to SkyWest’s acquisition of 104 E175s, SkyWest expects to invest approximately $161 million in cash to acquire these 45 aircraft, and to finance the balance of the purchase price with debt. The expected delivery dates for the 45 aircraft run from September 2017 through the end of 2018, with the majority of the deliveries scheduled for mid-2018. Top Copyright Photo: Delta Connection-SkyWest Airlines Embraer ERJ 170-200LR (ERJ 175) N252SY (msn 17000612) LAX (Michael B. Ing). Image: 936861. Bottom Copyright Photo: Alaska SkyWest (SkyWest Airlines) Embraer ERJ 170-200LR (ERJ 175) N186SY (msn 17000606) ONT (Michael B. Ing). Image: 938865. This entry was posted in Alaska Airlines, Delta Air Lines, Delta Connection, SkyWest Airlines and tagged Alaska Airlines, Alaska SkyWest (SkyWest Airlines), Delta Air Lines, Delta Connection-SkyWest Airlines, Embraer ERJ 170-200LR (ERJ 175), LAX, msn 17000606, msn 17000612, N186SY, N252SY, ONT, SkyWest, SkyWest Airlines on October 3, 2017 by Bruce Drum. SkyWest, Inc. (St. George, Utah) reported its financial and operating results for the third quarter of 2016, including net income of $41 million or $0.79 per diluted share, up from net income of $36 million or $0.71 per diluted share in Q3 2015. Excluding the $9 million non-cash impact of early lease return charges on six CRJ700s, adjusted diluted earnings per share was $0.90 in Q3 2016. Pre-tax income for the third quarter of 2016 was $67 million compared to $60 million in Q3 2015. Above Copyright Photo: Alaska SkyWest (SkyWest Airlines) Bombardier CRJ700 (CL-600-2C10) N223AG (msn 10010) LGB (Michael B. Ing). Image: 924092. During Q3 2016, SkyWest redeployed six CRJ700 aircraft into service under a multi-year agreement with American and redeployed four CRJ700 aircraft into service under a multi-year agreement with Delta. SkyWest previously operated the combined 10 CRJ700s under an agreement that expired with United. A total of 37 CRJ700 aircraft with scheduled contract expirations with United are scheduled to be redeployed with American by mid-2017, eliminating the related financing tail risk on these aircraft through 2019. Copyright Photo: American Eagle Airlines (2nd)-SkyWest Airlines Bombardier CRJ200 (CL-600-2B19) N492SW (msn 7168) LAX (Michael B. Ing). Image: 927579. SkyWest anticipates its CRJ200 fleet and its ERJ145 fleet (“50-Seat Aircraft”) will be reduced by approximately 16 aircraft by the end of 2016 as a result of flying agreement expirations with multiple major partners. During Q3 2016, SkyWest extended the contract term on nine CRJ200s with American from the end of 2016 to the end of Q3 2017. Under a previously announced lease return arrangement, SkyWest is currently scheduled to return 11 additional CRJ700s over the next six months. If the aircraft are returned as scheduled, SkyWest anticipates largely non-cash termination costs of approximately $15-17 million (pre-tax), which will be recognized as the aircraft are removed from service and processed. 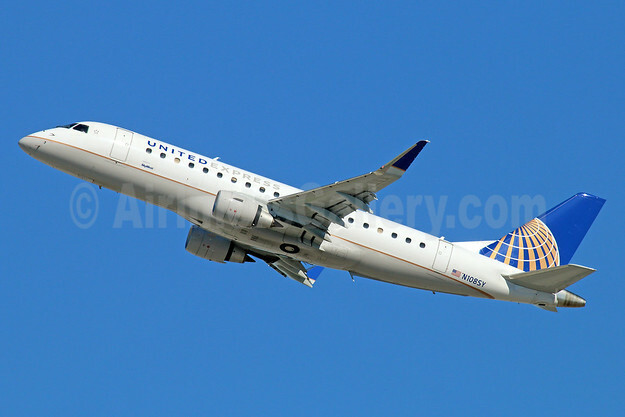 Top Copyright Photo: United Express-SkyWest Airlines Embraer ERJ 170-200LR (ERJ 175) N108SY (msn 17000401) LAX (Michael B. Ing). Image: 930967. This entry was posted in SkyWest Airlines and tagged Alaska SkyWest, American Eagle, SkyWest, SkyWest Airlines, United Express on October 28, 2016 by Bruce Drum. SkyWest, Inc. announced today that it has entered into a Capacity Purchase Agreement (CPA) with Delta Air Lines (Atlanta) to operate 19 new Embraer E175 dual-class regional jet aircraft. SkyWest has determined that these 19 E175 aircraft will be operated by SkyWest Airlines, Inc. (St. George) a wholly-owned subsidiary of SkyWest. The CPA is under terms and conditions similar to SkyWest’s existing Delta agreements. The aircraft will be flown in dual-class configuration of 76-seats, and will be equipped with Wi-Fi. Under the agreement, it is anticipated that delivery of the aircraft will begin in August 2016, with all 19 aircraft being delivered by mid-2017. In related news, Embraer and SkyWest, Inc. have signed a firm order for an additional 19 E175s jets. The aircraft will be flown by SkyWest Airlines, Inc. a wholly-owned subsidiary of SkyWest, under a Capacity Purchase Agreement (CPA) with Delta Air Lines. 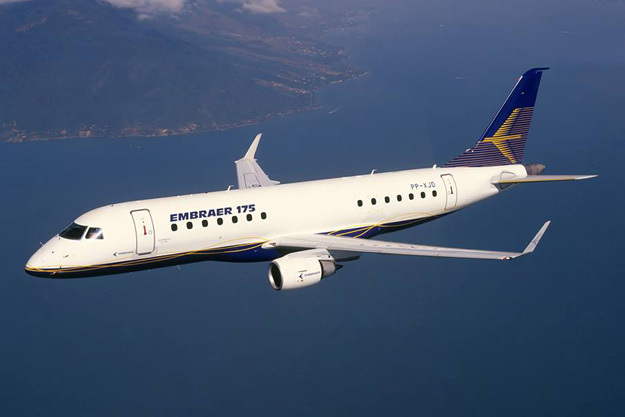 The transaction will be included in Embraer’s 2015 fourth-quarter backlog. Delivery of the first aircraft is expected for the third-quarter of 2016. 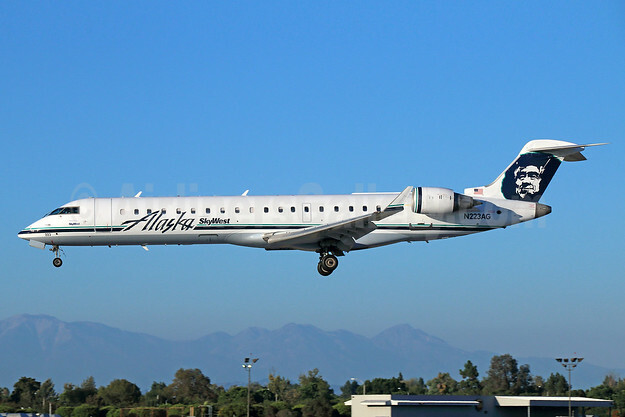 SkyWest Airlines currently operates the E175 for Alaska Airlines (Alaska SkyWest) and United Airlines (United Express). 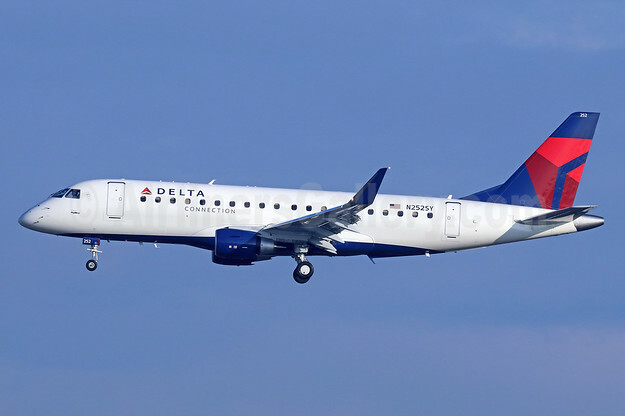 This entry was posted in Delta Air Lines, Delta Connection, SkyWest Airlines and tagged Delta Air Lines, Delta Connection, E175, Embraer, Embraer 175, SkyWest, SkyWest Airlines on October 21, 2015 by Bruce Drum. SkyWest, Inc. (St. George, Utah) announced today that its wholly-owned subsidiary SkyWest Airlines, Inc. (St. George, Utah) has entered into an amendment to an existing Capacity Purchase Agreement with United Airlines, Inc. (Chicago) to operate an additional 18 new Embraer E175 dual-class regional jet aircraft. The cabin will be a dual-class configuration of 76 seats and will be equipped with Wi-Fi. Under the agreement, it is anticipated that delivery of the aircraft will begin in late 2016, with all 18 aircraft being delivered by mid-2017. Copyright Photo: Michael B. Ing/AirlinersGallery.com. SkyWest Airlines’ Embraer ERJ 170-200LR (ERJ 175) N124SY (msn 17000439) in United Express colors approaches the runway at Los Angeles. 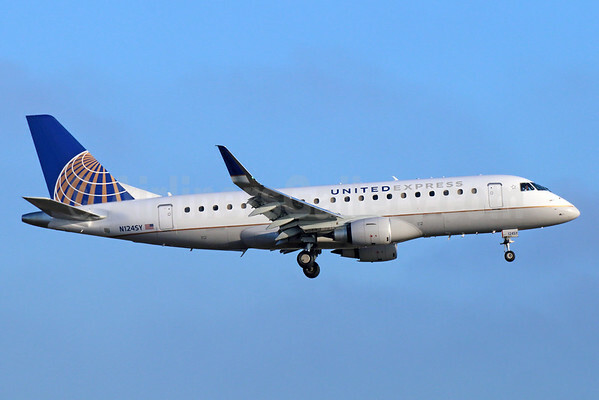 This entry was posted in SkyWest Airlines, United Airlines, United Express and tagged 17000439, E175, Embraer, Embraer 175, Embraer E175, Embraer ERJ 170-200LR, ERJ 170-200LR, ERJ 175, N124SY, SkyWest, SkyWest Airlines, United Airlines, United Express on September 14, 2015 by Bruce Drum.